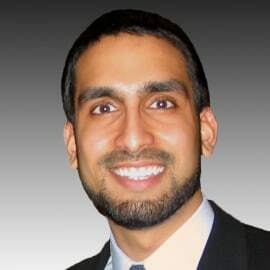 Ahmed Abdul-Jaleel is an Assistant Regional Director in the SEC’s Chicago Regional Office. Ahmed directs examinations of registered investment advisers and investment companies, including private fund managers. Ahmed’s examinations have resulted in multi-million dollar recoveries for investors. He served as co-chair of the Portfolio Valuation and Alternative Assets Committee and is a member of the Private Fund Working Group. Ahmed has led national and local examination initiatives and is a multi-year recipient of the National Examination Program Director’s Four Pillars Award. Ahmed has also been responsible for handling tips, complaints, and referrals. Prior to joining the SEC in 2010, Ahmed was an Audit Manager at Deloitte & Touche LLP. He was a member of the real estate group where he worked with REITs and investment advisers to real estate funds. He also participated in forensic investigations and securities litigation, including advising counsel and preparing expert witness reports. Ahmed received a B.S. in Accountancy with high honors from DePaul University and is a Certified Public Accountant.